Manchester United skipper Wayne Rooney is set to retire from international football after the 2018 campaign in Russia, if England makes it there. The England international has disclosed his intention of ending his career at Old Trafford, but he hasn’t placed a time limit. On his international career, he claims he would retire after the World Cup tournament, adding that it would be 15 years then. “I will carry on playing, certainly at club level. I will have a year left at United then . I’ve said to United I want to stay there, finish my career there, so it’s a case of sitting down with United when the time’s right. I’ve still got three years left. I obviously, hopefully, want to finish my career at United,” Rooney disclosed. On his retirement, Rooney said: “Going into the World Cup, hopefully we qualify, the time will be right. It will be my 15th season playing for England, and in anyone’s terms, it’s a long time, so I just felt the time would be right then. The physical factors in basketball, football and other sports mean that continuing at the very top once you pass 30 years old is very difficult, and only a few have managed to retain that level of performance at the highest level whilst playing both domestic and international football” Rooney added. Rooney admitted that he could do better for the team, and he said he hopes to use the next two years well. “Realistically, I know myself that Russia will be very last opportunity to do anything for England. 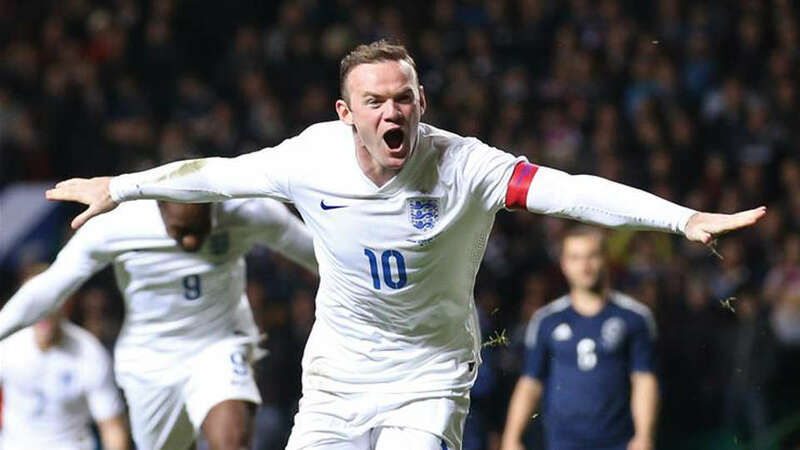 Hopefully, I can end my time with England on a high,” Rooney revealed. South Korea, Ghana, Iran, Honduras, Japan, Australia, Cameroon and England were the nations that endured going through the worst campaigns during the 2014 World Cup as any of those squads managed to claim a single victory in the group stages of the worldwide event that concluded a few months ago. England’s recent string of disappointing results in big tournaments and matches is a factor that has really started to affect the nation as fans are getting increasingly agitated towards their performances. This is a nation that has well known players such as: Wayne Rooney, Jack Wilshere, Oxlade-Chamberlain, Danny Welbeck, Daniel Sturridge, Joe Hart and Gary Cahill just to name a few. These are players that are performing in some of the top clubs in Europe and play high level matches every single week but when it comes to representing and perform for England everything comes crashing down as they are not able to pick up good results. Michael Owen is a retired football player who managed to make over 80 appearances for England during his playing time as well as performing in top European club such as: Real Madrid, Manchester United and Liverpool. He has voiced out his opinion concerning the current situation of England. Owen stated that the fans and supporters of the English national football team have lost faith in them due to all of their series of underwhelming performances. “Everyone in this room, the fans, us, we have all lost belief in the national team. I don’t think we will get that back until we do something significant at a major tournament. It has been pretty poor for a while now. One good result doesn’t just change that. But there were chinks of light there against Switzerland and the encouraging thing was there were players that will be around for many years to come.” Former player of Liverpool, Michael Owen said to the media. Barcelona defender Jeremy Mathieu says that he is astounded by the fact that England have not achieved success in the last four decades despite having some of the best facilities in world football. Barcelona recently brought in defender Jeremy Mathieu from Valencia for £ 16 million, thus making him the world’s most expensive defender about the age of 30. He is also the club’s first signing in the centre back position since 2009. He has been part of the Barcelona team that trained at the St George’s complex – a purpose-built training facility by the England football Association. It is reported to have cost the England FA more than £ 150 million, thus making it one of the most expensive in the world. After having been amazed at the facilities on offer, Mathieu says that he is lost for words considering that England have not achieved anything at the international stage since the 1966 World Cup victory. England were recently knocked out of the World Cup at the group stages, which was their worst performance in a World Cup since 1958. St George’s complex was built in order to replicate the success achieved by Germany, who had built a facility of their own following disappointments in the late 20th century. Rio Ferdinand has claimed that England manager Roy Hodgson does not have the key ingredient that is required to win a major tournament like World Cup or European championship. Hodgson was appointed as the replacement for Fabio Capello before the Euro 2012. England suffered an early exit at the Euro, but there was no criticism of Hodgson since he had been appointed only a few months before the tournament. He was expected to do much better and show his true quality at the World Cup 2014. However, England have once again suffered an early exit. They were knocked out of the World Cup at the group stages for the first time since 1958. This has asked a lot of questions about Hodgson, who will be staying on in his role. The English FA and the manager himself have confirmed that quitting is not an option right now. However, former England international Ferdinand says that Hodgson may not have the qualities required to win a major tournament. After having played under top managers like Sir Alex Ferguson, Ferdinand seems aware of the qualities that a manager needs in order to be successful. Hodgson has had little success at club level without lifting any major titles like the Premier League the Champions League. “It was always likely England might struggle, as I wrote before the tournament. And there are all kinds of underlying issues to be addressed, as I outlined a fortnight ago. A visionary manager would help. Hodgson is a pleasant-enough man, extremely intelligent and has a CV with enough clubs and countries to show how widely he is respected. But if I’m brutally honest then, for me, he lacks that extra ingredient to set him apart,” said Ferdinand. There have been several suggestions that England manager Roy Hodgson would consider taking Everton midfielder Ross Barkley, who is having a tremendous campaign with the blues, for the World Cup 2014. However, Arsenal manager Arsene Wenger has ruled out a warning for Hodgson says that there is little substitute for experience and that the former Liverpool manager should stick with taking the experienced campaigners for this World Cup. He says that Barkley should be given opportunity to impress in the qualification rounds before being taken for the grand stage. Wenger has himself seen the negative experiences of taking a player to sound. This happened with his first start Theo Walcott who went to the World Cup 2006 as a teenager. Even though he never played in the tournament, Walcott has never been able to fulfil his potential since then. Wenger says that the pressure of a World Cup is too huge for young shoulders to handle. The 20-year-old Barkley will be one of the players to watch when Arsenal visit Goodison Park for a crunch match this weekend. Everton could get a significant advantage in the top spot race with a win over the gunners, who are just a couple of points ahead. “For me Barkley has a big impact this season. He is one of the top young English players I have seen in my time here, it is difficult to rank him but he is one of the best I have seen. He has made a big step forward because he has gone from being a young hope to convincing everybody that he has huge potential and talent and that he can have a huge impact on big games. It is good that he is not guaranteed a World Cup place,” said Wenger, whose team defeated Everton earlier in the campaign. Roy Hodgson has stated that he expects Daniel Sturridge to be a decisive player for England over the next few years because the Liverpool striker has the talent to succeed at international level. After a few years at several clubs like Manchester City and Chelsea, Sturridge finally seems to have come of age since joining Liverpool. He has scored almost one goal game in this Premier league season and it has prompted Hodgson to include him for the final friendly match against Denmark on Wednesday. The 24-year-old repaid the manager’s faith by scoring a late goal to give England the victory. After the match, Hodgson said that Sturridge has no reason to think why he can reach 50 caps for England and when he does so, he should think about 100 caps for the national team. The former Liverpool manager believes that the striker has what it takes to succeed at international level as well. He has had an enormous partnership with Luis Suarez at Liverpool, but against Denmark, he showed that he is good enough to score goals when he is playing without the Uruguayan alongside him. Sturridge is almost certain to be on the plane for Brazil 2014. He could be joined by several other Liverpool players as well. “He should be looking at 50 caps and, when he has his 50, look at 100 because he’s got the talent. He’s hardly played for England. We’ve been very unlucky with Daniel. Since he’s gone to Liverpool, he’s done very, very well. But quite often, when we’ve had matches, we’ve been unlucky he’s not been available through injury. In my 25 games Daniel hasn’t featured anywhere near as often as I would like. Now, I’m hoping, in the next 25 he’s going to feature a lot,” said Hodgson about the future of Sturridge at international level. England has only won 1 penalty shootout since 1990 and that was back in 1996 when England played against Spain in the quarter-finals of the Euro of that year. That would be the last time that the Englishmen managed on claiming a victory. From there on out, England has been eliminated from 6 major tournaments all of which were during penalty kicks with one of their most recent one being their match against Italy at the 2012 Euro and Hodgson wants this outcome to never repeats itself which is why the head coach of England will be taking a sport psychologist to Brazil. Dave Reddin is a former World Cup winning rugby union coach and Hodgson is hoping that he can tap into the expertise in sport psychology in order to avoid any further negative results specifically during any possible penalty shootouts that may occur during the 2014 World Cup. “I think there’s another possibility, we should be encouraging players to know their penalty, to practice that penalty. When you practice penalties within your group the goalkeeper knows the players, so maybe we won’t do it with a goalkeeper’’. “Maybe we’ll have target area No1 and target area No2 and we’ll insist the player hits those targets. There are a lot of things that can be done but the bottom line is always going to be there’ll be players who are less confident than others’’. “It’s a matter of how we assure ourselves that when those players go up they are as well prepared as they can be. In the final analysis it will be their character, their confidence and their ability to block out tomorrow morning’s headlines.” Hodgson said. Hodgson will be revealing the list of players that will not be travelling with him to Brazil after he takes all of the necessary preparations with his team and conclude their upcoming friendly match against Denmark. Gary Cahill moved from Bolton to Chelsea in a £ 7 million deal a few years ago. He managed to win the Champions league – the ultimate prize for European clubs – within six months of moving to his new club. He followed that by winning the Europa league last season. Despite the trophy laden spell, the Premier league has been missing for Cahill, and the England national hopes to complete the collection by winning it this year. Cahill also won the FA Cup in 2012. He has managed to form a great partnership with John Terry at the back this season. Mourinho has largely preferred to use David Luiz the middle of the park rather than at central defence. The error prone Portuguese defender has excelled in this position and it could be his future position at the club. Cahill was not used to winning trophies during his previous clubs like Bolton and Aston Villa. Now that he has become a winner, the 28-year-old says that he wants to continue with the Premier league trophy this season. Chelsea are in with a great shout to win the title, as they are just two points behind the leaders Arsenal. However, the blues also have to contend with the challenge from Manchester City, who Chelsea manager José Mourinho thinks have the best squad in the division. “It’s one of the biggest trophies you can win and I’m sure the lads who have won it before would say the same thing. They’re just as hungry as me to do it again. As I’ve never won it, it would be a great achievement in my career and one I’m striving to do. We have confidence whenever we play at home, which we should have, and always manage to get results here,” said Cahill after the 3-1 win over United. England recently suffered their first back-to-back defeats at Wembley for the first time since 1977. This has induced some panic amongst the fans ahead of the FIFA World Cup 2014 in Brazil. England qualified for this tournament in stunning fashion after managing to win their group. They were also looking extremely good in the last few matches, but the latest defeats against Chile and Germany have brought them back to earth. The first friendly against Chile ended in a 2-0 loss, while Germany were able to go home with a 1-0 win. In both these matches, England looked fragile in defence and this is a major worry for Roy Hodgson ahead of the World Cup. The former Liverpool manager, though, has asked for patience from the fans. He has said that there is nothing to worry about despite these defeats. England are missing a number of first-team regulars like Theo Walcott, but they are unlikely to have made a difference in the back of the field. 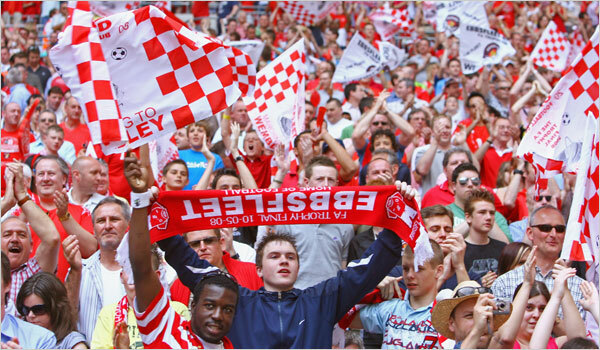 England have only one more friendly match remaining – against Denmark in March 2014 – before they go into the World Cup. “There’s certainly no question of panic. If anything I’m much wiser, with regard to the players I’ve got at my disposition and what we need to work on going into a tournament. I’m not prepared to accept that two friendly defeats in which I have used a lot of players in two tough games is going to take the shine off what has been a very good year,” said Hodgson. Due to the form in recent tournaments, they are rank outsiders to win the World Cup. Hodgson, though, has been upbeat about their chances of victory. Some of the positives from these two matches include debuts for the likes of Celtic goalkeeper Fraser Forster and Southampton’s Jay Rodriguez.